I’ve been experimenting a lot with paper for my stop motion animations lately, mostly making paper flowers to use in other compositions. However as my other love is illustrating faces as @thesaintdraws on Instagram, it feels like a natural transition to create portraits for paper. That’s where the Cricut Maker has come in. The Cricut has been a-mazing. The level of detail I’ve been able to achieve has been astounding. At time of writing this post, Game of Thrones Season 8 has finally landed. I’m so excited! Therefore it’s the perfect time to make a portrait of one of my favourite characters and Mother of Dragons, Daenerys Targaryen. As I looked at her, she had an air of Daenery’s about her. Voila, a paper portrait obsession was born! The first step was to draw Daenerys in Adobe Illustrator. I then saved her as an SVG file, to be imported into the Cricut Design Space. To create Daenyrys I’ve used a selection of 216gsm cardstock. Both Cricut and American Crafts have a great selection of colours and work beautifully with the Cricut Maker machine. For the Daenerys Targaryen.stop motion animation, I wanted to animate the fire. To animate fire, I’ve created 3 different fire shapes and single flames. Along with her hair, they will be the only parts that move. I wanted to keep it simple. I use sticky foam pads to raise parts of the paper illustration up, which creates more depth and shadow. For the stop motion animation part, I don’t want to permanently stick the paper fire down, so I use white tack to raise them up. I cut the two versions of the dragons. One in blue and one in red to add more depth and a touch of colour to make them stand out more from her jacket. The red of the dragons also matches Daenery’s lips. I’m particularly pleased with the paper braids. The strips of paper are approx 3 millimetres wide and cut perfectly with the Cricut. Impressive. I’ve thoroughly enjoyed creating this paper portrait and I have many more planned. It’s been made so much easier with the Cricut Maker. As well as quicker. I’m hooked! 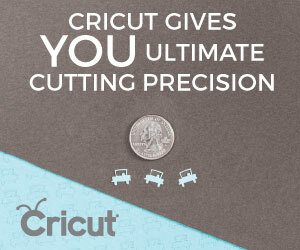 Or browse the extensive collection of Cricut machines, tools and accessories.